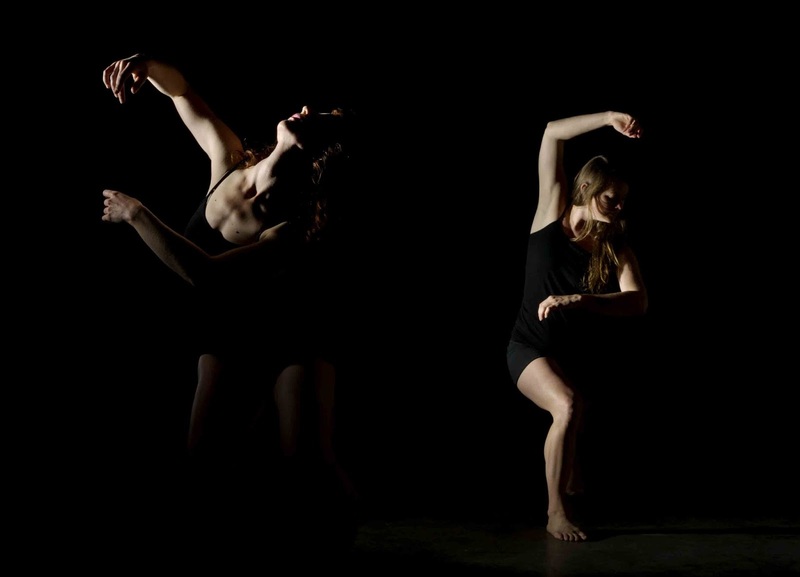 For the next four days, ODC’s Mission campus will be brimming with emerging choreographic talent as the annual Summer Performance Festival moves in for its eighth year. An exceptional event curated by SAFEhouse Arts founder Joe Landini, SPF8 hosts multiple shows each day and features fifteen different contemporary dance troupes and choreographers. Kicking things off was an opening program of two distinct works, both devoted to the notion of contrast: Jenni Bregman & Dancers in Flocking and Kristin Damrow & Company in Opaque. Running and leaping from the wings; posing and falling into the space. Flow, movement, freedom and joy read immediately in Jenni Bregman’s Flocking. With these opening images as well as the material that followed, dramatic shifts and changing extremes informed the entire work, a narrative that everyone can certainly relate to. Even the costume design was based on extremes. The company (or flock) seemed to grouped by the color they were wearing – some in grey, two dancers in a grey/red combination and another couple completely clad in red. A visual statement about the whole and subdivisions within that collective. The mood also fluctuated from the lighthearted opening moments to sections that were steeped in angst. And of course, choreographic contrasts abounded throughout Flocking. From a contemporary pas de deux that was all about flight to grounded walking sequences to a rocking hip hop solo, the entire cast moved through Bregman’s varied vocabulary with excitement and skill. While not entirely a light piece, Flocking was fun to watch, and the dancers looked like they were having fun with it too, except for some obvious nerves in the first few minutes. Contrast also factored heavily into Kristin Damrow’s Opaque, an ensemble work for an all-female cast. Group dynamics and individual dynamics were constantly in play, along with the porousness and fragility that exists between these two states. In addition, vulnerability, determination and ominous strife seeped through every scene and movement phrase. Opaque was charged from beginning to end; an intoxicating contemporary dance that hooked you instantly and kept you on the edge of your seat. Opaque opened with a soloist bathed in dark, subtle lighting. Shadowy and spooky, the company quickly joined her onstage watching every motion with steely intent. 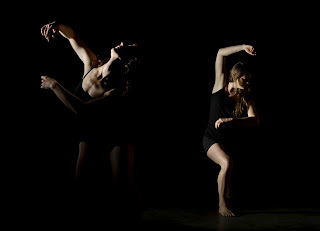 Multiple different dancers engaged with her in a collection of highly technical choreographic duets. While each pas de deux was diverse and unique, they all shared a sense of competition, of battle, of the struggle for power. Splayed palms made an appearance in several of these vignettes as dancers pushed each other away or attempted to keep one another at bay. Damrow built choreographic sequences that seemed to simultaneously cling to the floor and to the air, all communicated with an incredible sense of authority. And in a perfectly constructed cadence, the first dancer once again isolated herself from the group as the lights dimmed and Opaque came to its conclusion.